Being so far away, I often think of her. And crafting time is no exception. In fact it serves as inspiration most times. I translate those thoughts and feelings into little hugs she can hold in her hand. So here is my latest "HUG"... I hope she likes it!! 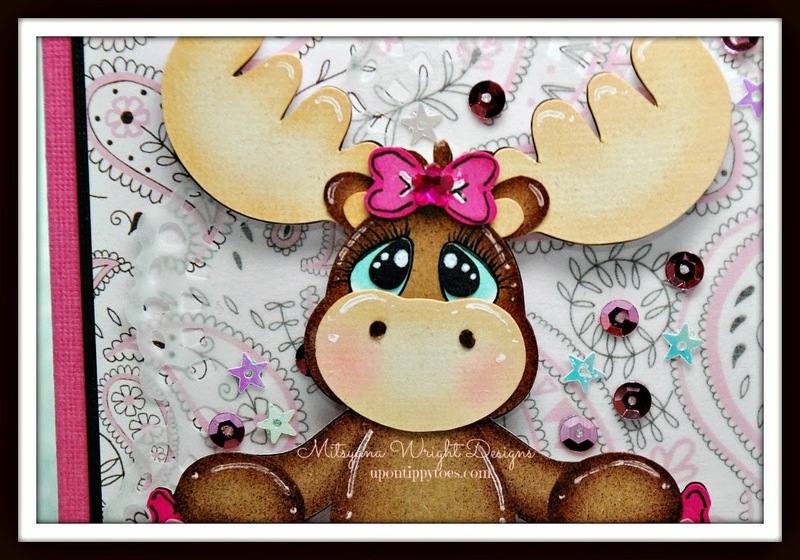 The moose I used in this card is from KaDoodle Bug Designs and is from their "I Moose-tache You" file. I ungrouped/ broke apart the file and didn't use the shadow piece. 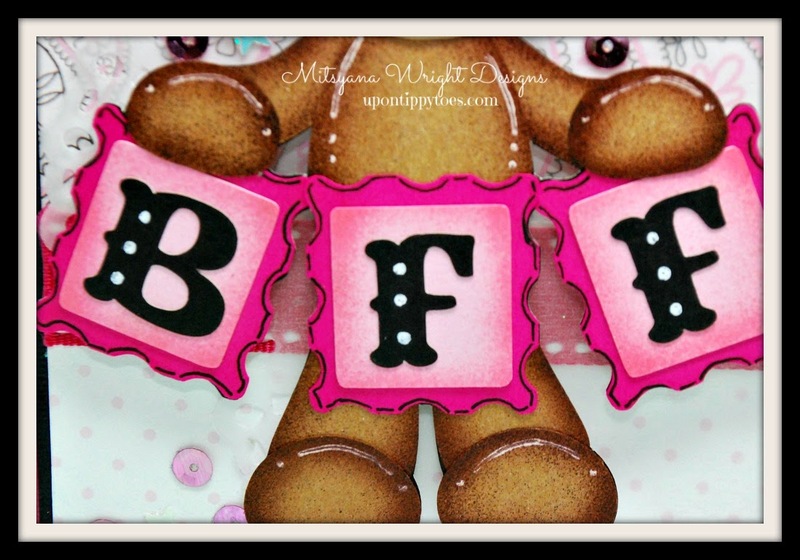 I modified the banner to 3 panels and made them say "BFF" insted of "LOVE". 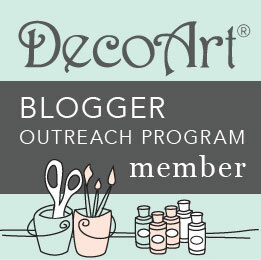 And, of course I used my eBrush machine to airbrush my paper pieces. 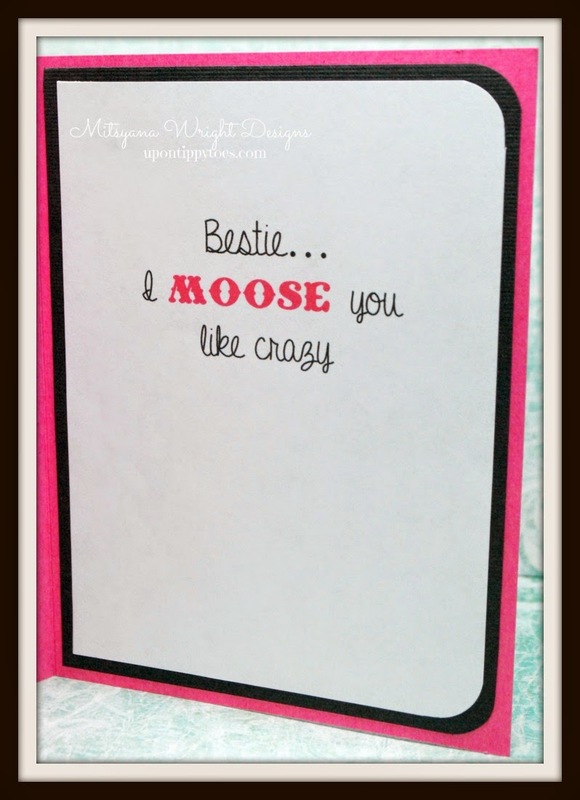 The majority of the moose was cut from craft cardstock and eBrushed with a brown Sharpie. 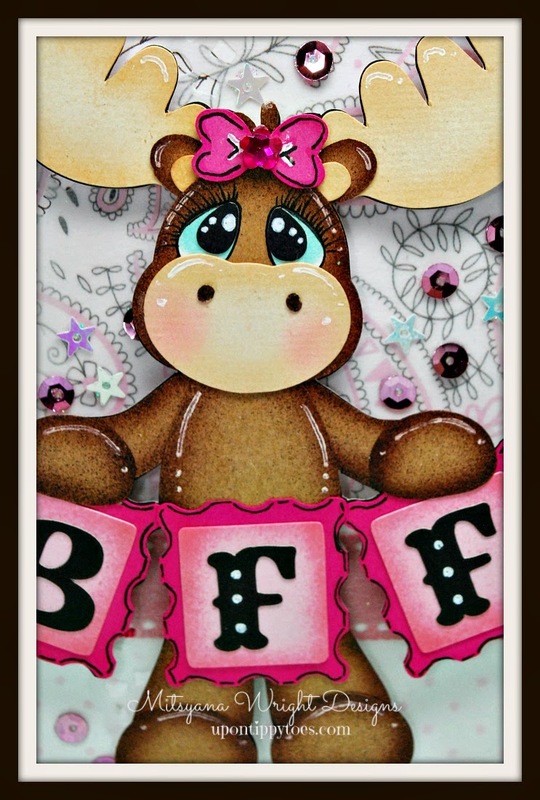 It's antlers, ears, and muzzle were from a Bazzill cardstock pack... I believe this was from the "Orange" family and was the lightest color of the batch. I ebrushed that with Spectrum Noir's TN1. The little bow and banner pieces were all eBrushed with a pink Sharpie. 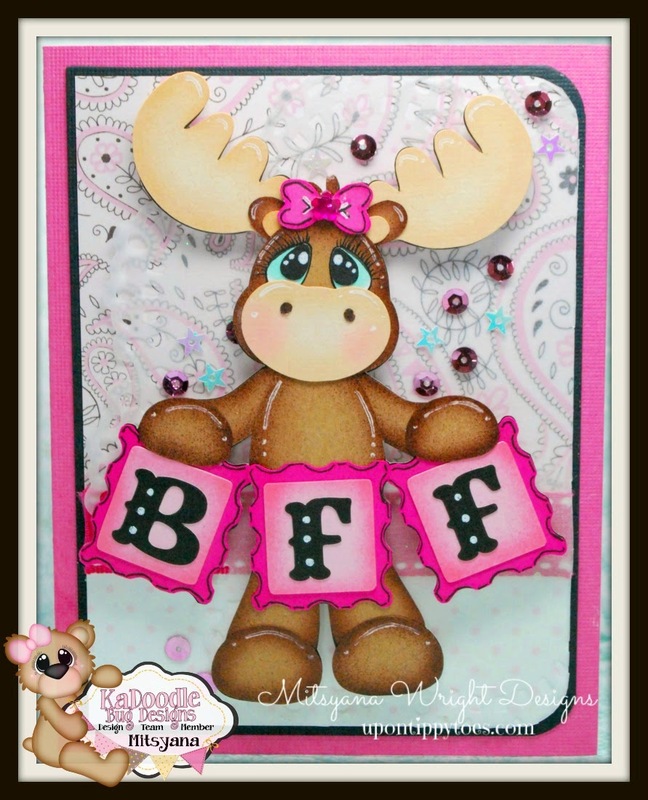 For the "BFF" on the banner and the word "Moose" on the inside of the card I used the Coney Island font. For the rest of the inside sentiment I used the A Gentle Touch font both are a FREE download and can be found on fontspace.com.